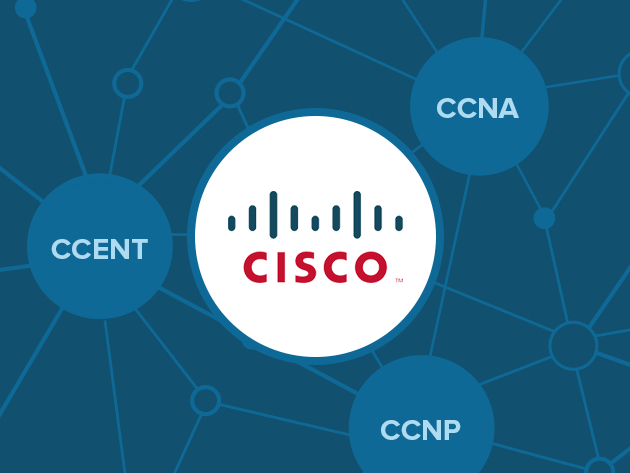 Give your IT career a significant boost with the $79 Cisco Complete Network Certification Training offer from TNW Deals. Through instructor-led videos, hands-on exercises and self-assessment tools, you’ll learn everything you need to know about how to build and scale wireless networks, troubleshoot, and improve network resilience. The courses will help prepare you to take the Cisco CCNA, CCNP, and CCENT certification exams and set you off on a running head start as an IT professional. Some of the most sought after certifications available in the IT field today, Cisco certifications are widely respected in the IT industry. You’ll move through more than 150 modules in order to master how to build and scale wireless networks, troubleshoot, and improve network resilience. They’ve consistently offered valuable, measurable rewards to network professionals, their managers, and the organizations that employ them. The Cisco Complete Network Certification Training is a complete resource for your Cisco training, providing the skills needed to master the Cisco CCNA, CCNP, & CCENT suite of certifications. Now 89 percent off from TNW Deals, it’s a remarkable offer on a new world of career opportunities.